4 star adventure running with the wolves. 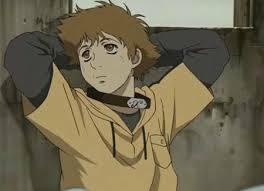 Wolf’s Rain was first released in 2003 and has lost nothing of it’s impact in the meantime. It is an anime series created by Keiko Nobumoto (Cowboy Bebop), produced by Studio Bones (Fullmetal Alchemist, Noragami) and directed by Tensai Okamura (Blue Exorcist, Sword Art Online). 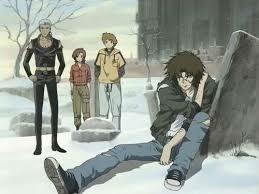 Wolf’s Rain is set in a post apocalyptic Earth, where humans once lived side by side with wolves. Hunted to near extinction, the wolves are forced into hiding, casting illusions over themselves to appear as humans and walk the streets in safety and have been believed to be extinct for two hundred years. An old legend tells of Paradise, a place which will appear at the end of the world. Unfortunately for the humans, it is also believed that only wolves know how to find it, so many have abandoned the idea. The key to opening Paradise is a Lunar Flower, which will draw wolves to its presence. 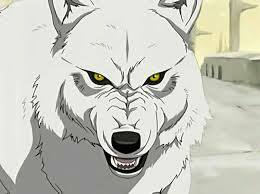 Kiba (Johnny Yong Bosch – Ajin: Demi Human, Bleach) is an injured lone white wolf who has heard the call of a Lunar Flower and finds himself in Freeze City, a human settlement where the majority of the inhabitants live in poverty. This is where he encounters three other wolves who have moved to live in the city, Tsume (Crispin Freeman – Durarara!! x2, Noein: To Your Other Self), a grey wolf with a scar across his chest, Hige (Joshua Seth – Akira, Last Exile), a Mexican wolf and the only one of the group to wear a collar and Toboe (Mona Marshall – Fighting Spirit, Digimon Frontier), distinguished by a bracelet. They have all been brought together here by the presence of Cheza (Sherry Lynn – Tenchi Muyo! ), a flower maiden being studied in a laboratory by Cher Degré (Kari Wahlgren – Pig Goat Banana Cricket) who has been awakened by the scent of wolves blood in the city. When she is captured by Lord Darcia the Third (Steve Blum – Ben Ten: Omniverse, Ultimate Spider-man) there is no longer any reason to remain in the city and our unlikely heroes set out on a journey to find Paradise which will change them all forever. 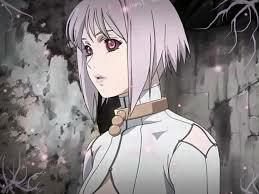 Wolf’s Rain is a very well written series, dark and brooding and packed with atmosphere. The fantastic soundtrack is produced and arranged by Yoko Kanno (Escaflowne, Ghost In the Shell: Stand Alone Complex) and enhances the beautiful animation and emotional sequences. 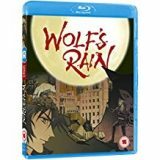 A very popular series, widely acclaimed, Wolf’s Rain is a classic and sits well in any anime lovers collection. Wolf’s Rain is available to buy now on Collector’s Edition Blu-ray and Standard Blu-ray.